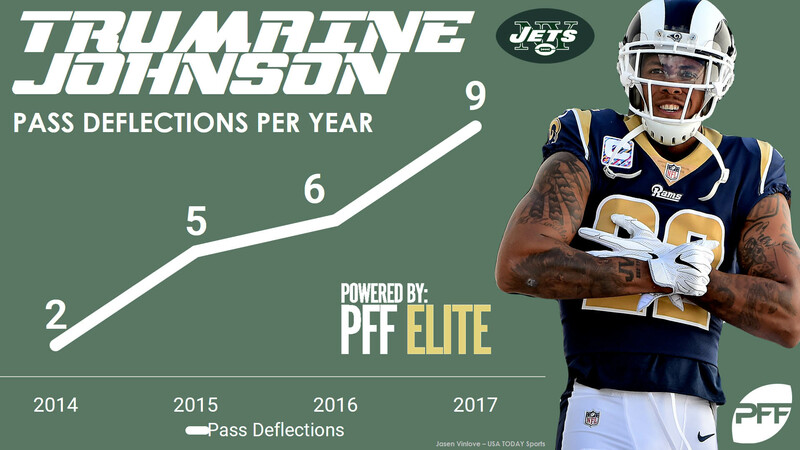 The New York Jets made one of the more noteworthy moves of the 2018 offseason, even if the player they signed hasn’t played legitimate snaps since 2015. Teddy Bridgewater joins the QB mix in New York alongside Josh McCown and in all likelihood a new future signal-caller after the team moved up to pick No. 3 in the 2018 NFL Draft after a trade with the Indianapolis Colts. Bringing in Bridgewater wasn’t the only move the Jets accomplished this offseason so far as they also brought in linebacker Avery Williamson, tight end Clive Walford, running backs Isaiah Crowell and Thomas Rawls as well as center Spencer Long and wide receiver Terrelle Pryor, to name a few. In another big move, they’ve also brought in former Rams cornerback Trumaine Johnson who played out two consecutive franchise tags in Los Angeles and will join Morris Claiborne to form a formidable cornerback tandem. Even with their additions across the board, the Jets still lost many key players from last season including linebacker Demario Davis, interior defender Muhammad Wilkerson and edge defender Kony Ealy, all of whom put up plus-grades last season. With so much movement on a Jets team that finished last season at 5-11, what do Senior Analysts Steve Palazzolo and Sam Monson think of their moves so far?